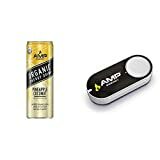 Amp Organic Energy Drink is a new version of Amp Energy Drink made by PepsiCo. This is Pepsi's answer to the increasing demand for natural energy products opposed to the standard ones which are full of artificial ingredients. All flavors have the same caffeine content supplied by green coffee beans. Amp Organic Energy Drink will be sold exclusively at 7-Eleven convenience stores throughout the US. Amp Organic is intended for adults only who are aware of their tolerance and sensitivity to caffeine. 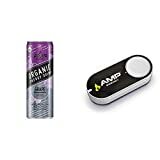 How Does Amp Organic Energy Drink Compare? 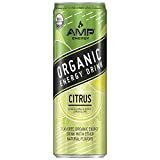 Amp Organic Energy Drink contains 10.00 mgs of caffeine per fluid ounce (33.81mg/100 ml).